Fine Paper Box | Custom wood specialities. Made in the USA. 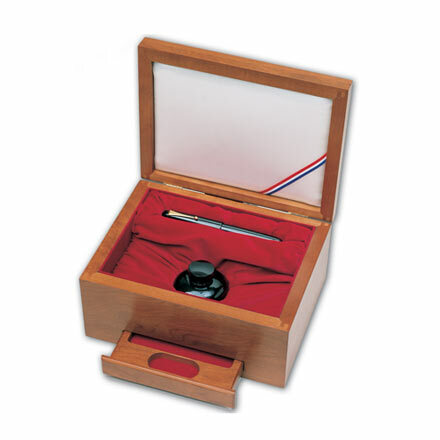 A fine paper company commisioned Pocumtuck to create this finely detailed pen and paper case, dedicated to the seemingly lost art of letter writing. Note how the crafted sliding bottom drawer makes the box special, and the wrapped padded lid provides thoughtful paper storage. This is truly a Pocumtuck box worthy of the art of letter–writing. Made in the USA.